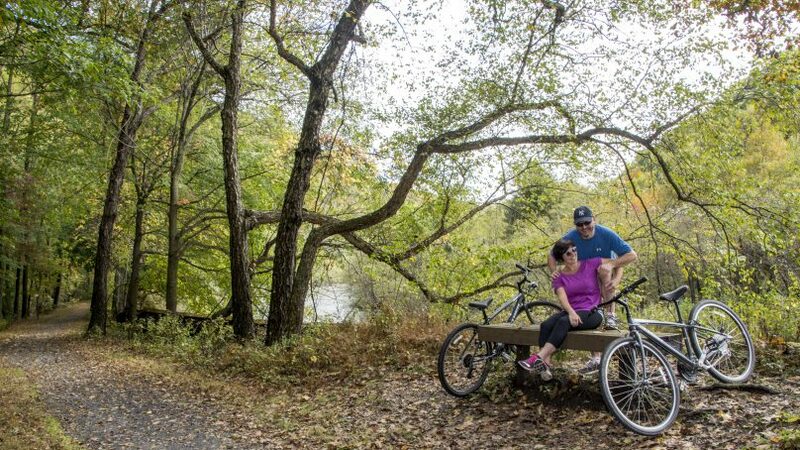 DUE TO BRIDGE CONSTRUCTION DELAYS, THIS SECTION OF TRAIL WILL BE UNAVAILABLE UNTIL EARLY FALL! PLEASE CHECK BACK FOR UPDATES. 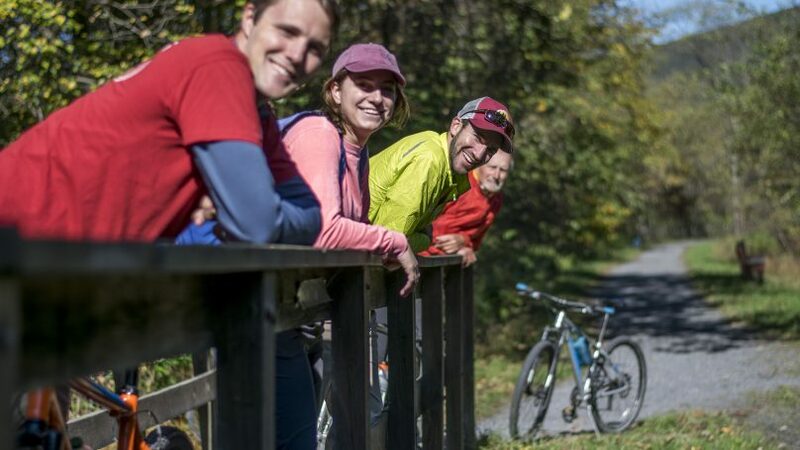 Join us for a 23 mile ride on the newly completed Lehigh Gap Trail. 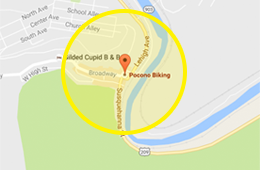 You will begin your day at our Pocono Biking store located in downtown Jim Thorpe. After you check in, we will shuttle you and your bike to the Cementon Trailhead. 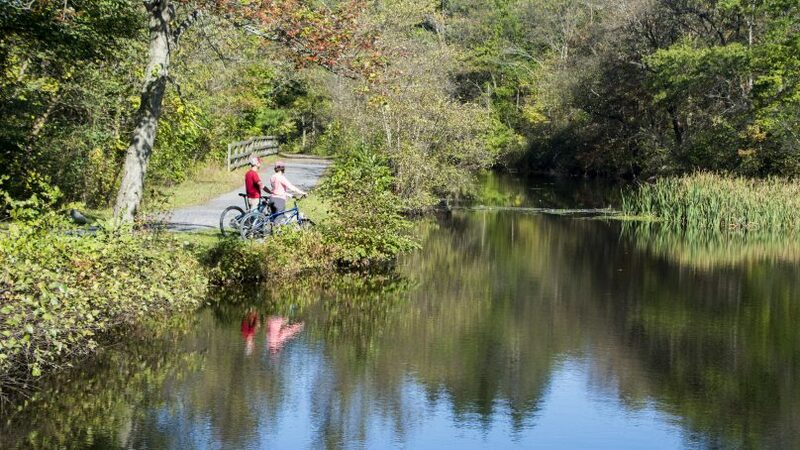 You will ride at your own pace for 23 miles along the Lehigh River as it bends through small, river towns. 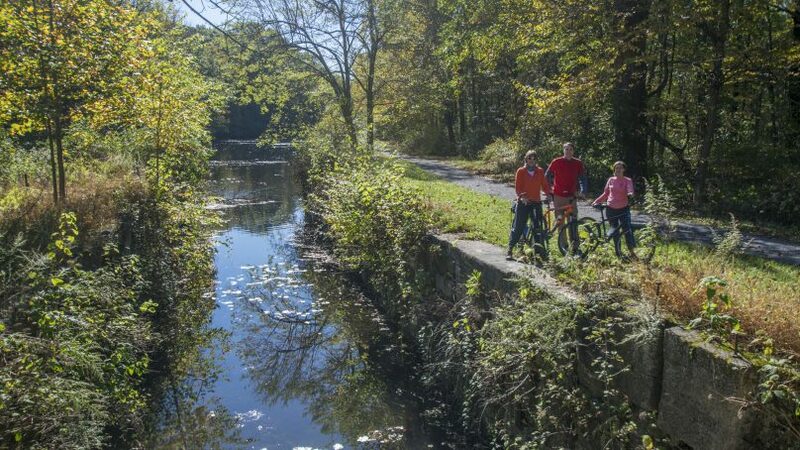 Along the way you will cross the Appalachian Trail, pass the Lehigh Gap Nature Center and explore the ruins of the Lehigh Canal. 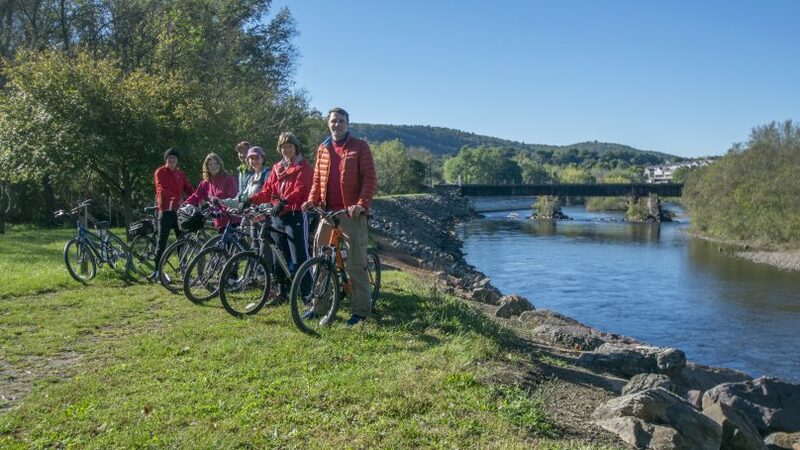 Your rail trail biking ride ends when you cross the newly completed Mansion House Pedestrian Bridge and arrive back at our store in the historic town of Jim Thorpe. Save time when you arrive, fill out our Liability Waiver and bring it with you. Click here for details Click here for rates. The following are shuttle departure times! It is recommended you arrive approximately 30 minutes prior to departure times. 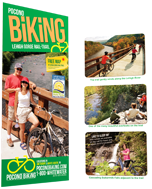 Check in at Pocono Biking Jim Thorpe and we’ll shuttle you to the Cementon Trailhead. 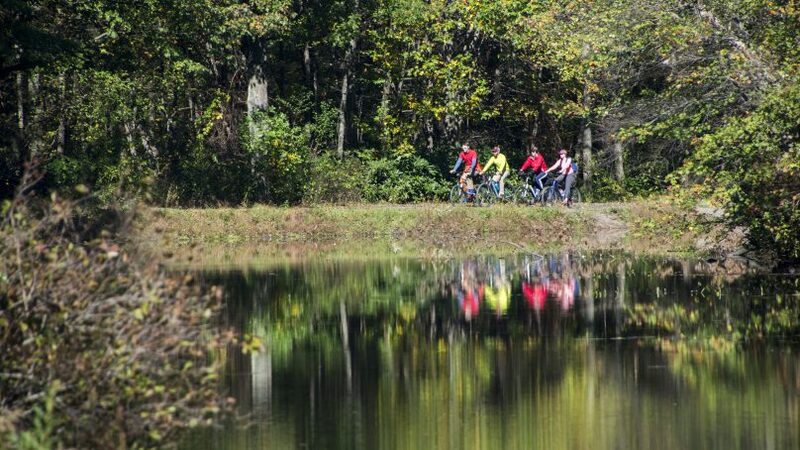 Then enjoy a leisurely 23 mile ride on the trail back to your car in Jim Thorpe.